1. What Is The Right Fit For My Helmet? Not all our heads are the same. So, it makes sense not all helmets will be the right fit for everybody. Just like clothes, you need to know your measurements in order to determine which sized helmet will fit your head. Having a poorly fitted helmet is almost as bad as wearing nothing at all. A right sized helmet will fit exactly like a crown, prevent large movements and will protect your head from any blows. Most manufacturers will have a size guide online and in-store, make sure to review sizes in each make, as they can vary between manufacturers. Any helmet worth getting must have a DOT or ECE certification, which are the safety standards for US and Europe respectively. The former, stands for the Department of Transport and will have a FMVSS certification. Whereas, the latter refers to United Nations Economic Commission for Europe (what a mouthful). Ultimately, these certifications mean that the helmet has been deemed fit to use by standards set in the aforementioned regions. 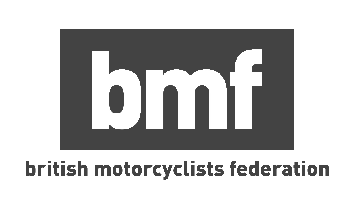 Additionally, to having one of these legal requirements, keep an eye out for SHARP ratings, SHARP are backed by the UK government as an independent, more well rounded tests for helmet safety. In summary: look out for one of these two markings on any helmet that you purchase as it is a legal requirement and keep in mind high SHARP ratings also. 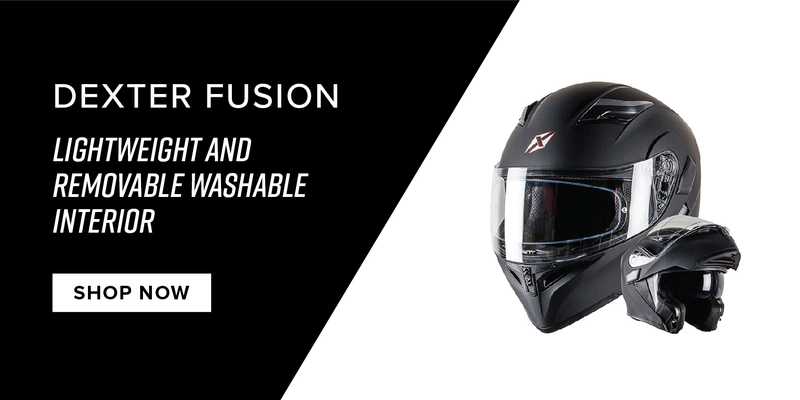 The right helmet should never impair your vision! This is crucial and could make all the difference if you get yourself stuck in a sticky situation. Make sure you can see clearly through your visor. To minimise visual impairment during your early morning commute, look at choosing a helmet with an anti-fog coating. Some helmets have an internal second layer, sort of like double glazing called a "pinlock" these are great as these helmets are way less likely to fog up in cold weather and suitable for people with glasses. The helmet should also offer sufficient air ventilation. So, you can breath easily without feeling suffocated. Also consider buying a helmet with an internal sun-visor, you don’t want to be squinting to see. Lastly, we advice that you get a scratch resistance visor, to again, reduce the risk of impairing your vision. 4. Does Bike Helmet Material Make a Difference? The material your helmet is made of is crucial to your safety. Polycarbonate is ideal because it is lightweight and can sustain the impact of a crash, whilst not weighing you down with excess weight. However, such helmets come at a cost but when it comes to your safety, the expense should be in the back of your mind. Think of it as an investment in your life, we spend more on unhealthy junk food and £1000 smart phones than a helmet that you wear every day in potentially dangerous situations. We please request that you don't find the cheapest helmet and always do your research. NEVER purchase second hand as you have no record of the helmets history and there could be severe internal damage not visible from the outside. 5. What Style of Helmet Should I Get? We are all unique. We have contrasting personalities, looks and clothes. Like me, I am sure you spent a meticulous amount of time choosing the type of bike you wanted. So why should it be any different when it comes to our helmets. There’s a plethora of shapes to choose from, such as; full face, modular (AKA Flip-up), open face (AKA ¾ helmet), off-road (AKA motocross helmet) and dual-sport (AKA crossover, ADV, hybrid, enduro). Not to mention all the different patterns and colours. 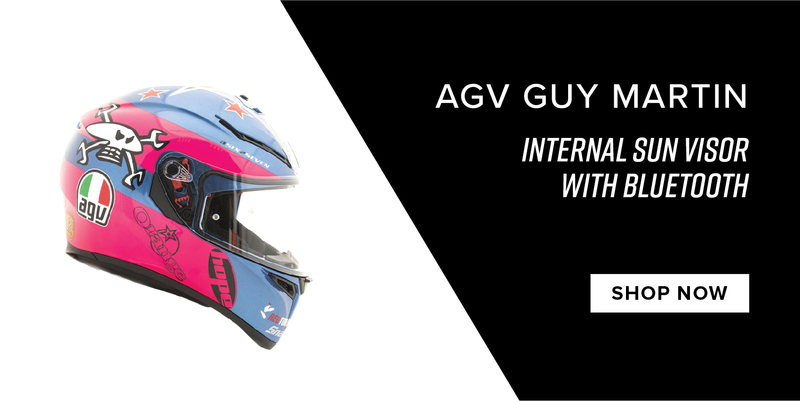 This is where you can go nuts, choose a helmet that reflects your style. 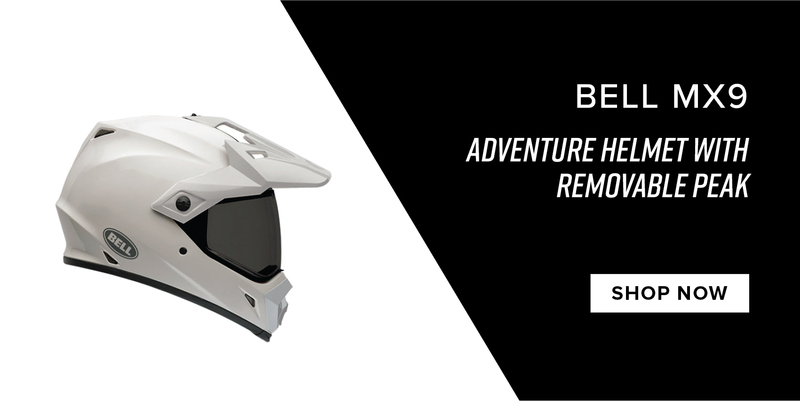 Personally, I chose the Bell MX9 helmet, for its great value at £99.99, removable peak and lightweight polycarbonate build.